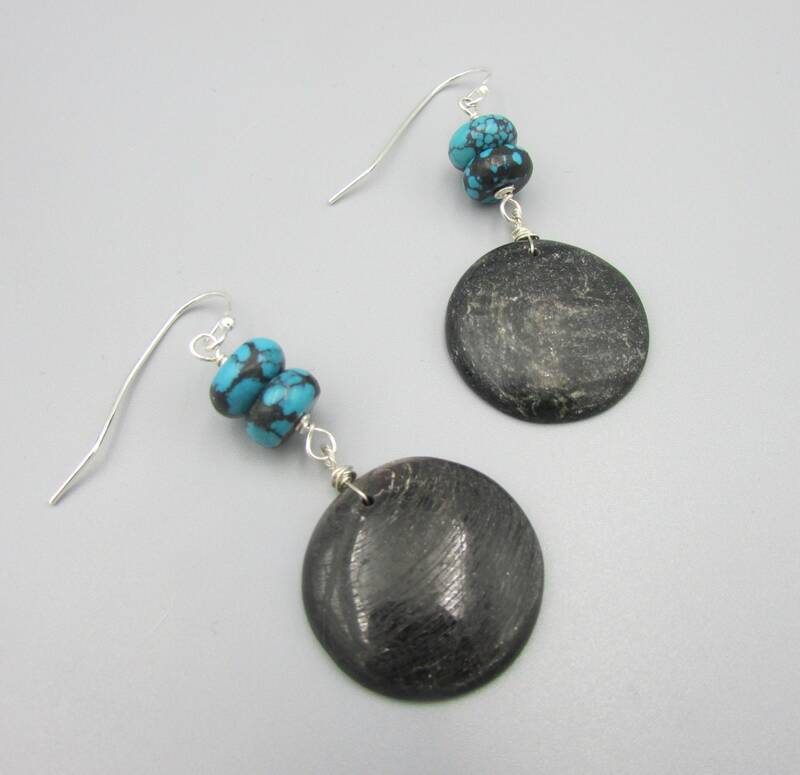 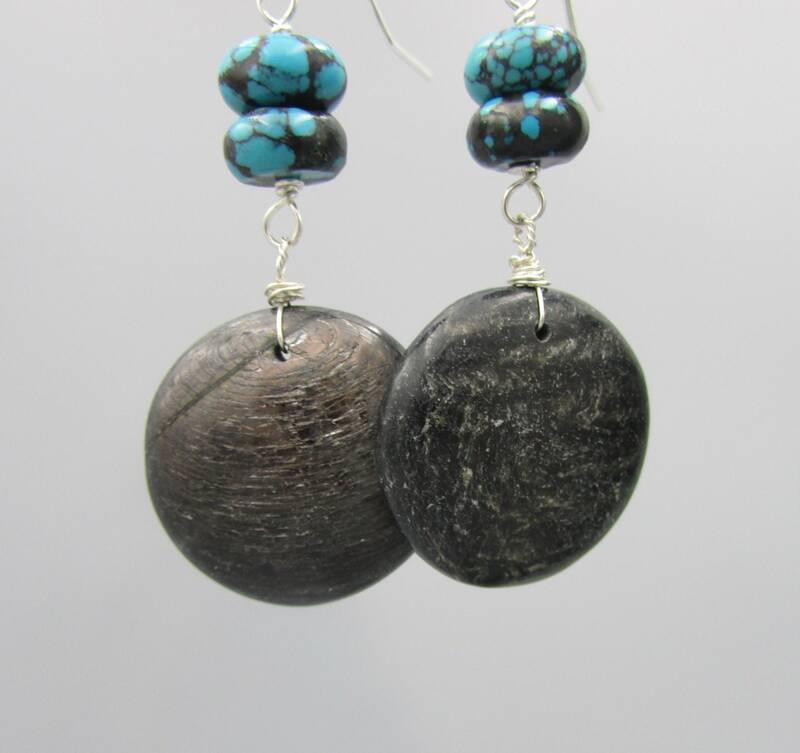 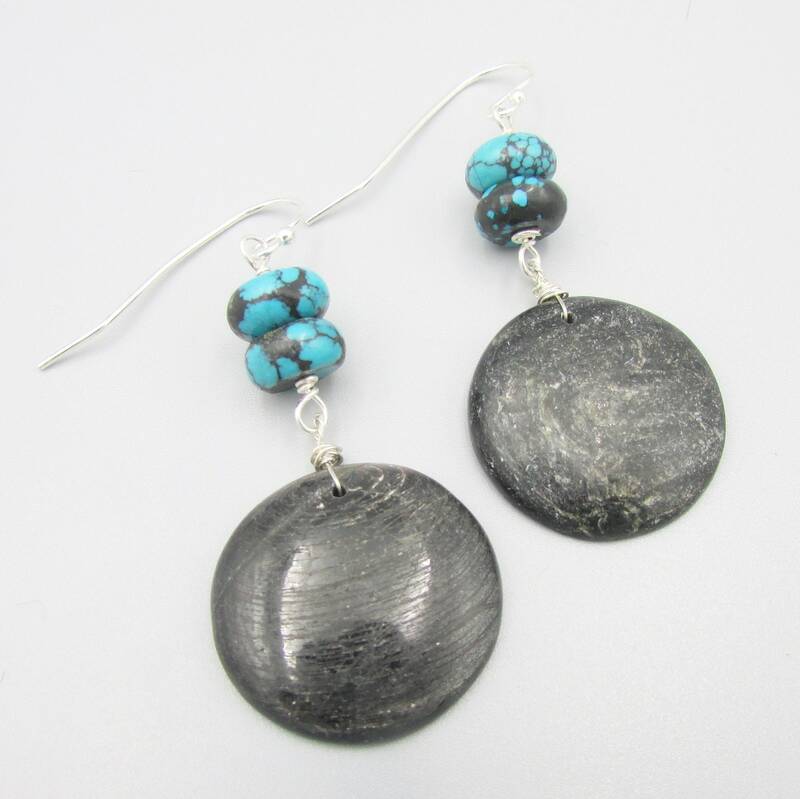 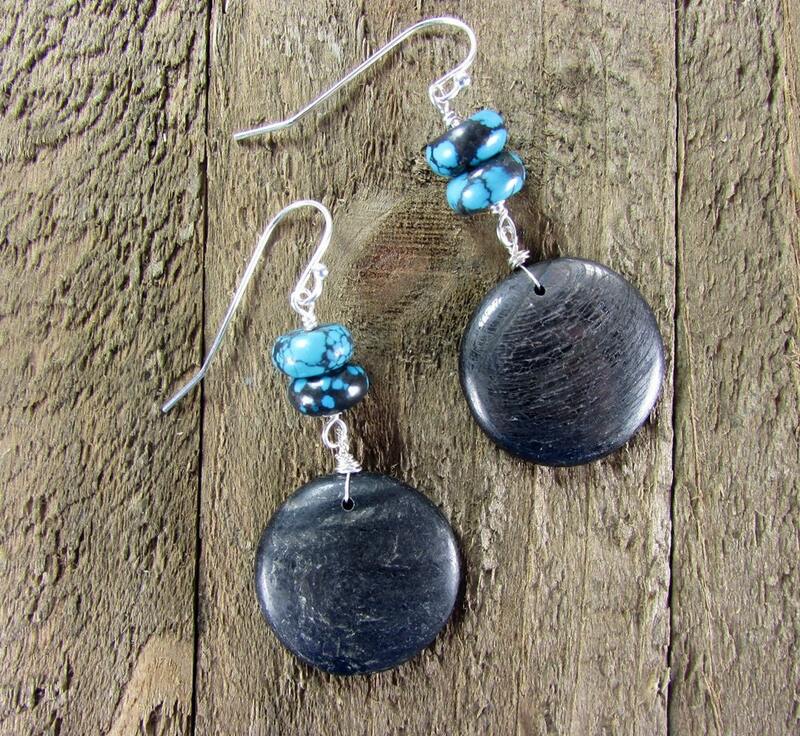 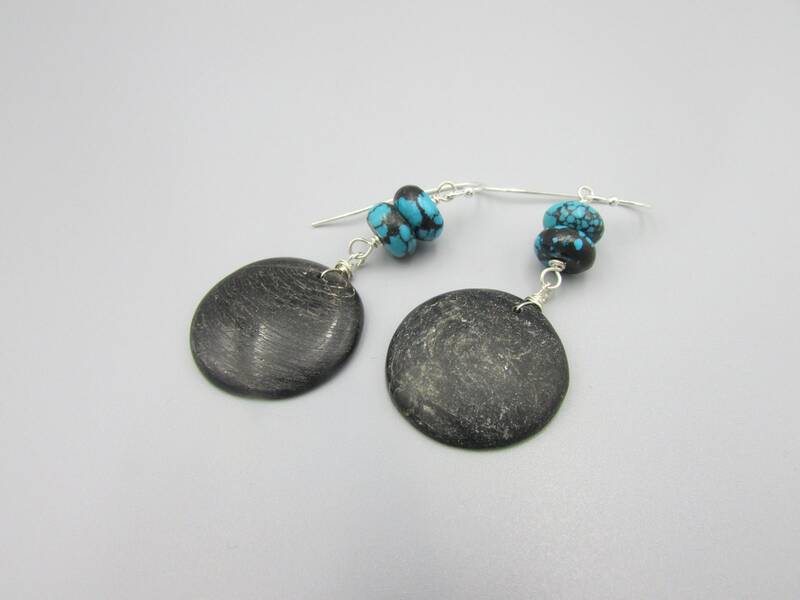 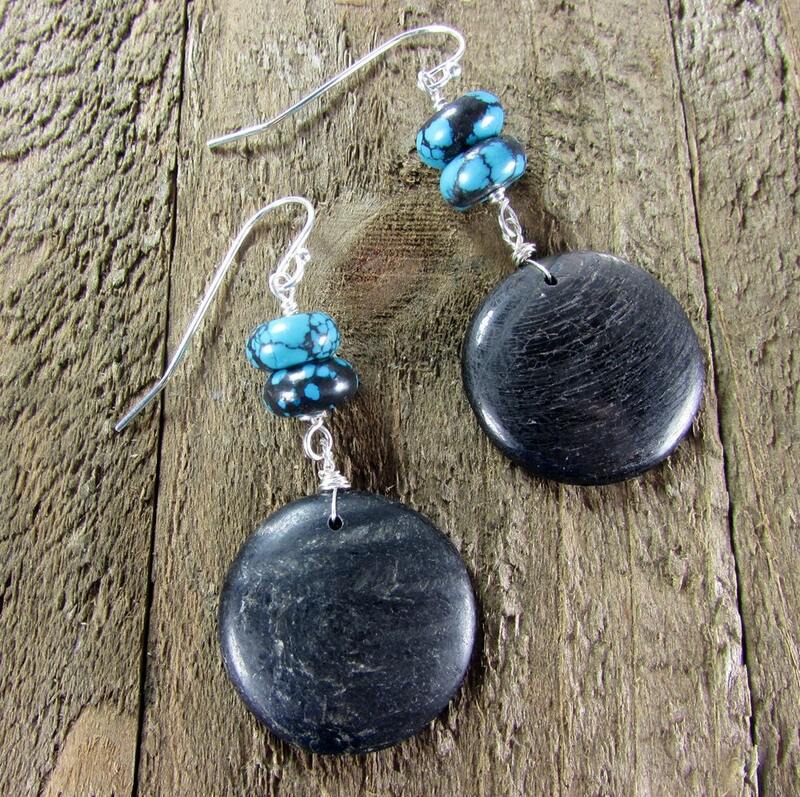 These lovely earrings are created with Tektite cabochons 25mm in size, which the about the size of a quarter. 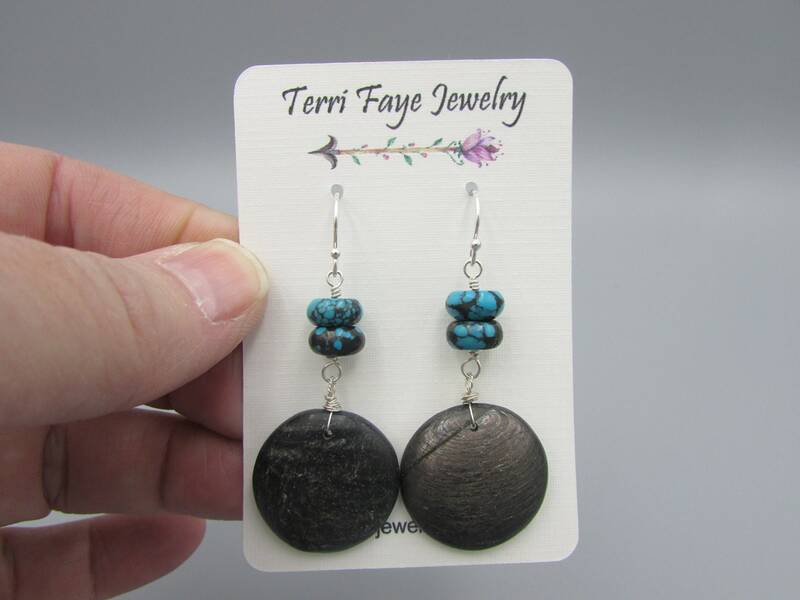 I've added genuine black matrix turquoise that blends perfectly with the Tektite. 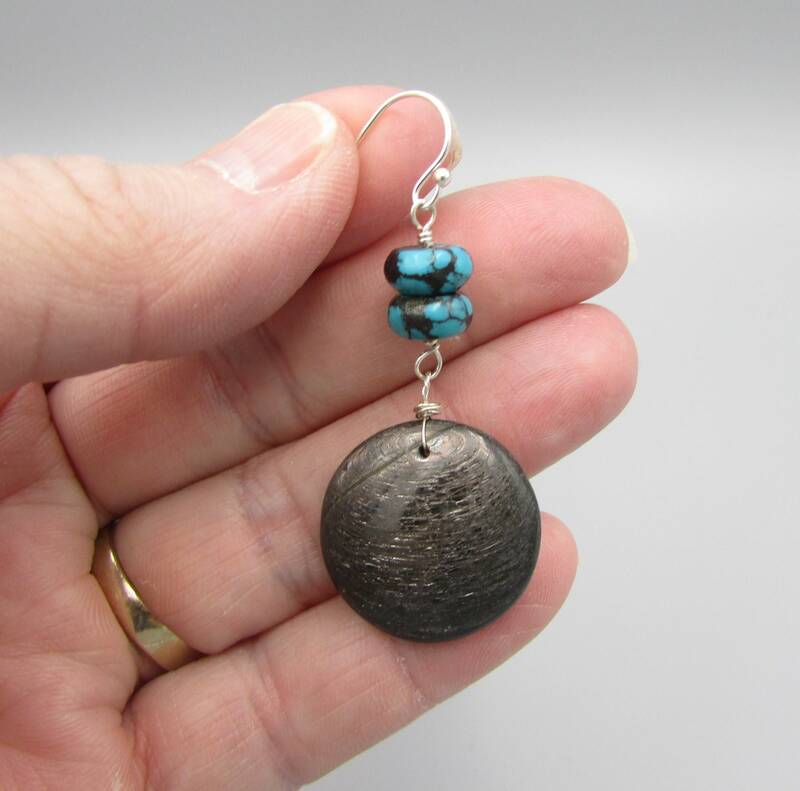 The length is about 2 inches long.